The Model AX is a full featured, single channel, single output vehicle detector that incorporates the reliable vehicle detection technology found in all of Reno A & E’s vehicle detectors. All detector functions and settings are easy to configure by using a set of six external DIP switches and two internal DIP switches. The Model BX is a full featured, single channel, dual output vehicle detector that incorporates the reliable vehicle detection technology found in all of Reno A & E’s vehicle detectors. All detector functions and settings are easy to configure using a set of eight external DIP switches and a simple to use eight-position rotary switch. The Model B is a full featured, single channel, dual output vehicle detector that incorporates the reliable vehicle detection technology found in all of Reno A & E’s vehicle detectors. All detector functions and settings are configured by using a set of eight internal DIP switches and a front panel mounted pushbutton switch. The Model BX-LP is a full featured, single channel, dual output vehicle detector that incorporates the reliable vehicle detection technology found in all of Reno A & E’s vehicle detectors. Designed to minimize power consumption, the BX-LP is the perfect choice for all solar and battery sourced installations. 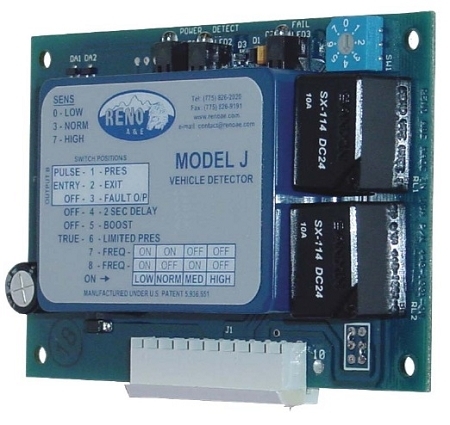 The Model J is a single channel, dual output, PC Board type vehicle detector that incorporates the reliable vehicle detection technology found in all of Reno A & E’s vehicle detectors. All detector functions and settings are easy to configure using a set of eight external DIP switches and an eight-position rotary switch. Available in 12 VDC and 24 VDC configurations, the Model J is a full featured detector in a compact package. 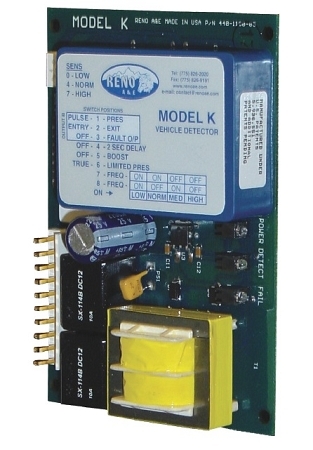 The Model K is a single channel, dual output, PC Board type vehicle detector that incorporates the reliable vehicle detection technology found in all of Reno A & E’s vehicle detectors. 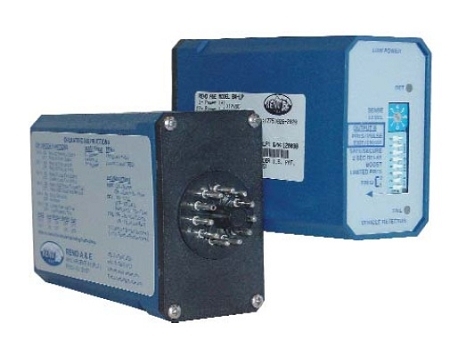 All detector functions and settings are easy to configure using a set of eight external DIP switches and a simple to use eight-position rotary switch. Available in 24 VAC and 120 VAC configurations, the Model K is a full featured detector in a compact package.